Karen Bennett specialises in pet and family photography. 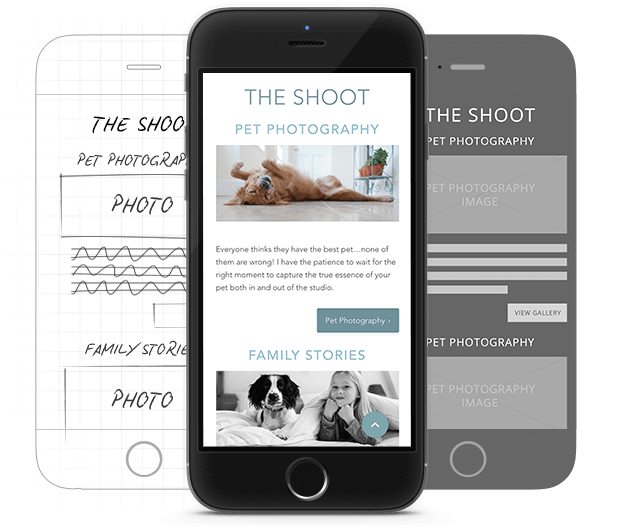 After changing her company name two years after start up, Karen wanted to create a new identity for herself and asked Above Digital to rebrand the existing website we had originally developed for her. It needed to capture the essence of the fun, relaxing experience she offers her clients and showcase her excellent work. Above Digital worked closely with Karen to design new branding and give the website a fresh new look that focused more on her work and attracting new clients. 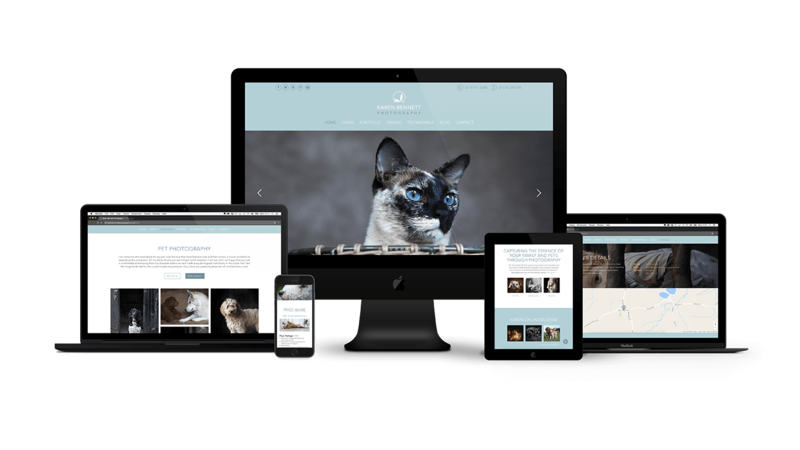 We built a responsive website solution, accessible over desktop, tablet and mobile browsers and put in place a Content Management System (CMS) through which Karen could easily add new content herself. We also provided SEO, set up social channels and provide ongoing technical support including statistical reporting. The resulting website allows Karen Bennett Photography to start a brand new chapter for her business. It beautifully expresses her growing confidence, unique identity and personal style. The final website solidified the new Karen Bennett brand and is regularly updated with new projects, posts and testimonials.